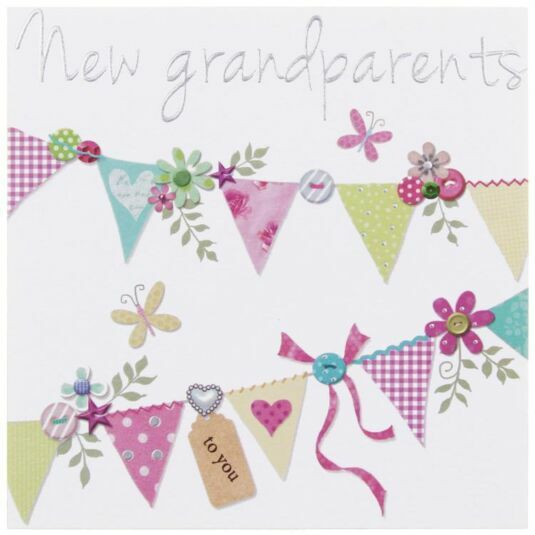 This greeting card measures 15.5cm x 15.5cm and features a beautiful floral bunting design. The front of the card reads New Grandparents in silver and the inside reads You must be over the moon leaving plenty of space for your own personal message. The card comes with a silver envelope.